Steven Yeun’s performance in Burning is yet another in a string of exciting choices from the former The Walking Dead actor. For several years, Steven Yeun was a steady and familiar face on TV’s biggest show. His portrayal of Glenn Rhee on AMC’s The Walking Dead made him an audience favorite, beloved by the show’s millions of fans. In more ways than one, Glenn represented the best of what The Walking Dead could be; it made a hero out of a pizza delivery boy, elevating someone that most people took for granted and turned him into powerful survival asset. As the show grew, so did Glenn, making him one of the most dynamic and interesting characters on The Walking Dead. After Glenn’s death at the hands of Negan (or rather, a baseball bat wrapped in barbed wire wielded by Negan) in the season 7 premiere, Steven Yeun found himself free to take the next step forward in his career. 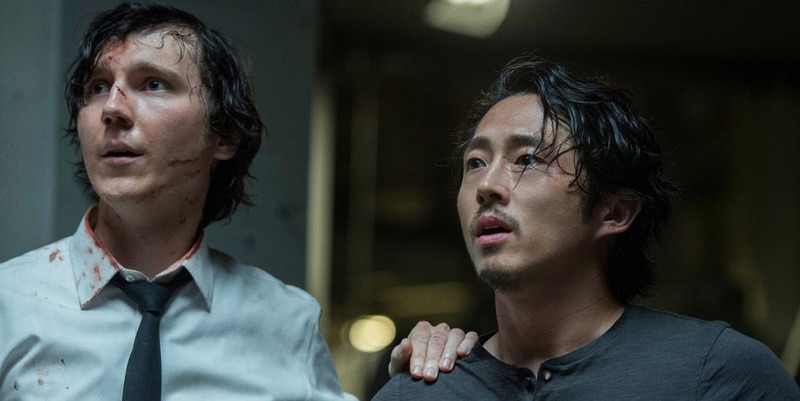 Since Glenn’s on screen death in October 2016, Yeun has made a string of exciting choices in stellar movies that prove he’s one of the most exciting young actors working today. Less than a year after leaving The Walking Dead, Steven Yeun was walking the red carpet at the Cannes Film Festival for Bong Joon-ho’s newest film Okja. Following a young girl named Mija and her pet Okja – a massive hippo-like creature with the disposition of a puppy – after a powerful corporation threatens to tear them apart, Okja is a wild adventure that tests the bonds of compassion and companionship. Yeun plays K, an animal rights activist fighting against the same company that kidnapped Okja. He is instrumental in gaining Mija’s trust and helping articulate to her, and by extension the audience, the mission of his organization. Yeun’s sublime blend of charisma and empathy make him the perfect fit for the role, delivering an understated performance that serves the ensemble cast well. 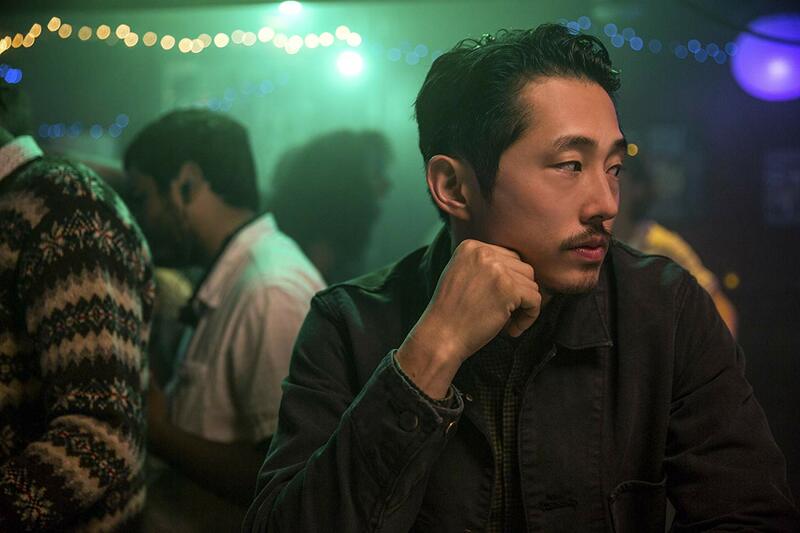 Not unlike his role in Okja, Steven Yeun also played a bit of a rebellious leader in Boots Riley’s dark comedy Sorry to Bother You. Starring Lakeith Stanfield, Sorry to Bother You follows Cassius Green (Cash for short), a black guy working as a telemarketer, who learns he can sell more successfully if he adopts a “white voice.” Once he starts using his white voice, Cash begins moving up in the company fast and finds himself wrapped up in a new and dangerous world. While Cash rises through the ranks, Steven Yeun’s character Squeeze works to form a union amongst the staff to demand raises, healthier working conditions, and better benefits. Yeun’s character offers a fascinating ideological counterpoint to Cash; as Cash’s success clouds his judgement, Squeeze’s remains clear. When the movie takes a more absurdist turn in the final act, Yeun’s character remains a straight man of sorts. It’s his job to ensure that the more outlandish elements in the movie remain foregrounded against an ideologically sound and clearly motivated decisions. 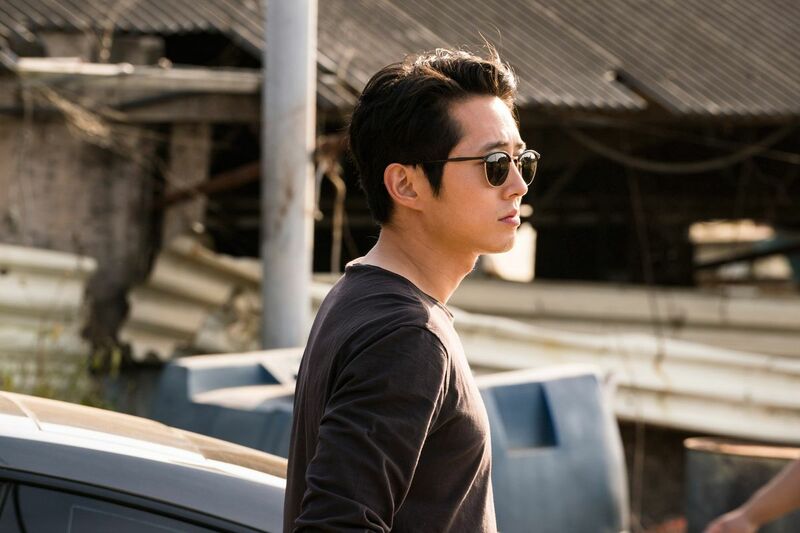 Yeun is the perfect man for the job, bringing more than just charisma to the role, but a contagious determination and sturdy resolve that not only wins over the audiences’ sympathies, but enhances the narrative depth and emotional landscape of the movie. South Korean writer and director Lee Chang-dong impressed audiences at the Cannes Film Festival earlier this year with his newest film Burning. Eight years after his previous film, Burning became the highest-scoring title in the history of the screen jury at the festival and much of the praise was directed at Steven Yeun. Yeun’s role in Burning is arguably his best, most-accomplished performance yet. It’s a role unlike anything we’ve seen him play before and he knocks it out of the park with grace and effortlessness. The movie follows an aspiring writer named Jong-soo whose life is complicated by his reunion with a childhood friend Haemi and his introduction to her wealthy friend Ben. Things get turbulent when Ben confesses to Jong-soo that he has a hobby of setting greenhouses on fire.The film is a fascinating exploration of both the subjective and indecipherable qualities of truth. Yeun’s performance as Ben is quietly brilliant, using his patent charm to evoke a sense of anxiety, thrill, and even fear from the audience. This is at odds with how audiences are accustomed to seeing Yeun, which is all the better. The contrast between his role as Ben and his other performances makes this one stand out among the rest. With Burning as South Korea’s official submission for this year’s Foreign Language Oscar and Steven Yeun’s performance revered among critics, this is definitely a movie to add to your watch list.